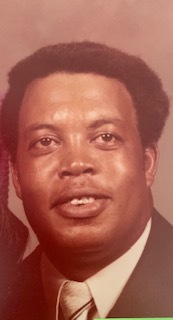 A homegoing celebration for Mr. Calvin “Paul” King of Plant City, Florida who passed away on Monday, February 4, 2019 will be held Saturday, February 9th, 3:00 p.m. at Mt. Olive AME Church, 5100 Horton Rd, Plant City, Florida, Rev. Leroy Sanders, officiating. The interment will be in Bealsville Cemetery. Calvin King, affectionately known as “Paul” was born in Bealsville, Florida to the late Joseph and Nycie King. He was the third of five siblings. Paul received his early education in the Hillsborough County Public School System, where he graduated from Marshall High School. Paul furthered his education at Travis Vocational and pursued studies in phosphate. He was employed at Shell Chemical Company for several years and Mosaic where he eventually retired. Paul had a passion for farming and did so until God called him home to Glory on February 4, 2019. In addition, to farming his favorite past time was grilling barbeque and watching football. Paul was known for his kindness, good-hearted, good will and his comedian filled spirit. The King household never had a dull moment because you could depend on him to bring a smile to your face every single day. At the same time always advising “keep the faith” and remember the 23rd Psalm. Paul is survived by his loving and devoted wife, Luemma King; daughters, Toshua Larkins (Frederick) and Carolyn Young (Bruce); 7 grandchildren; brother, Charles King (Ceola); sisters, Betty Stubbs (Thomas), Carolyn Brown (Otto) and Judy Wall; a host of other sorrowing family members and friends. The visitation will be held one hour prior to the service at the church. The family and friends are asked to meet at the church on Saturday for the service.